This is really special. Fresh, simple flavours that look beautiful and taste even better. I can’t describe to you how delicious this is, it’s absolutely stunning! I love making things where awesome ingredients speak for themselves and this combination is just amazing. 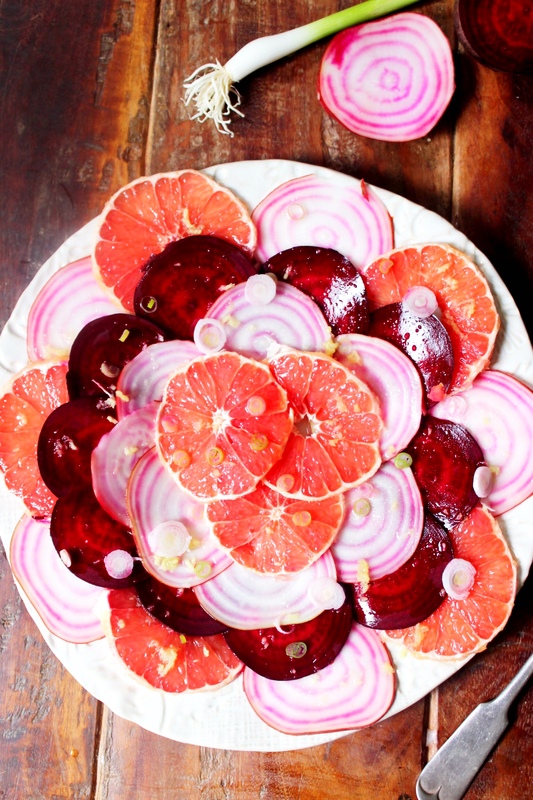 I used a mixture of regular beetroot and beautiful candy striped beetroot which made it look extra gorgeous! Use a mandolin to slice the beetroot into thin discs. Peel the grapefruit (just like you would an orange!) and then really carefully, use a very sharp knife to cut it into thin slices, as thin as you can without it falling apart! 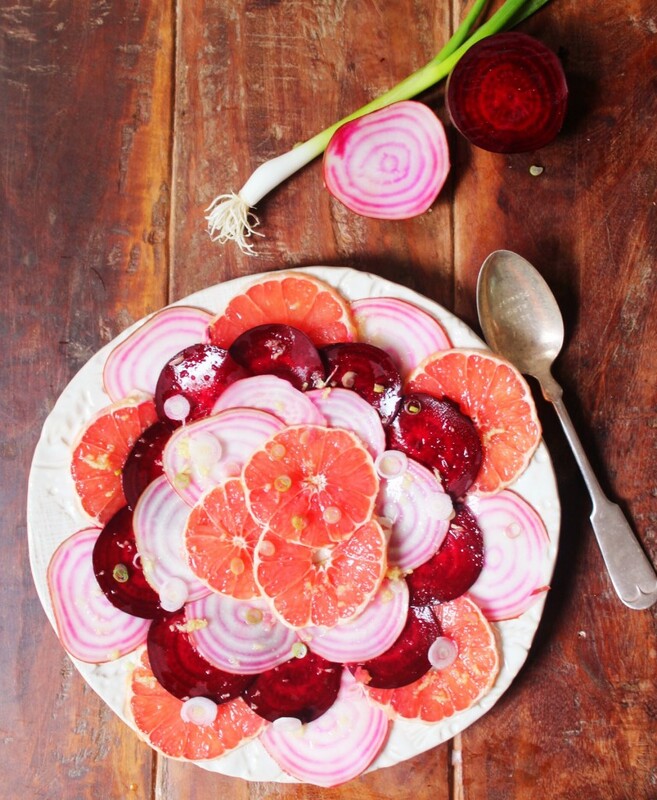 Arrange the beets and grapefruit on your serving plate. Grate your ginger and combine it with the lime juice and honey and whisk well. Use the mandolin to cut your spring onion into thin slices. Drizzle the dressing over the grapefruit and beets and sprinkle on the spring onions before serving.